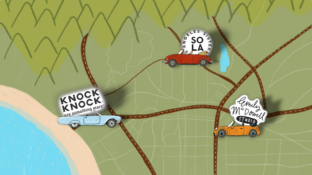 Since 2009, New York Times journalist and poet Alan Feuer has collected, curated, and shaped craigslist Missed Connections ads into featured poetry collections for the paper. These fresh and oh-so cheeky “found poem” compositions evoke romantic perspectives in otherwise mundane circumstances. For instance, whoever imagined a timeless meet-cute at a port-o-potty? 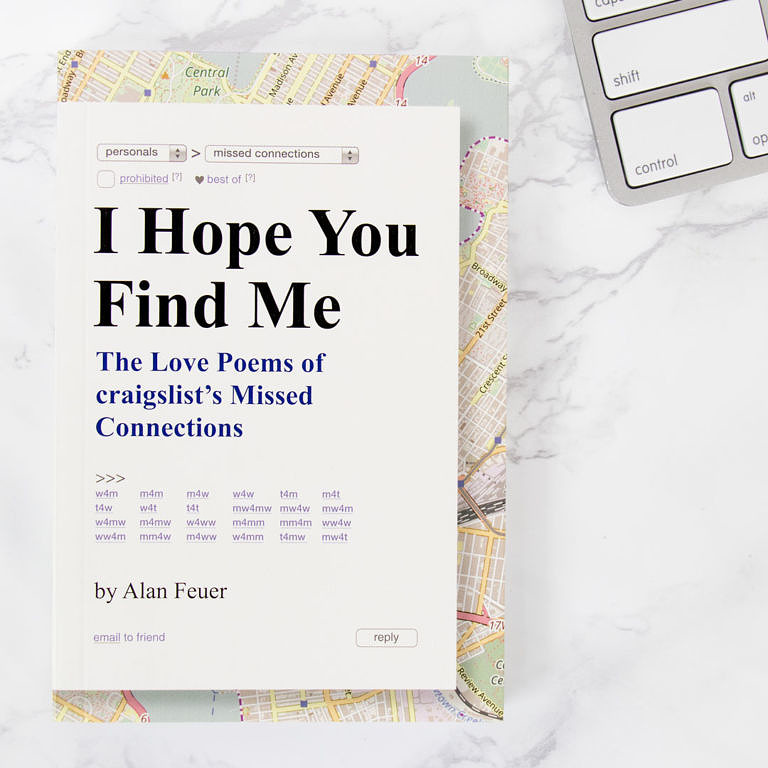 Knock Knock combed through Alan’s NYT “Poetic Connections” section and transformed his work into a sweet, funny, and curious collection: I Hope You Find Me: The Love Poems of craiglist’s Missed Connections.